What is the Smallest Town in America? Several years ago I passed through Van Tassel, Wyoming. I had just broken the Nebraska border and was, quite frankly, happy to be in the West again. Nothing against northern Nebraska. It is absolutely amber waves of grain if such a thing ever did exist. But, then again, it’s Nebraska. Town didn’t look like much. 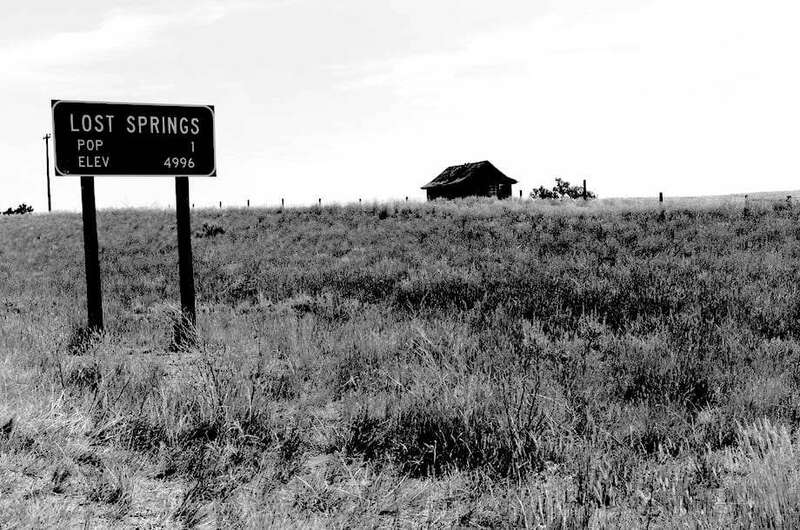 Wyoming itself, for that matter, wasn’t going out of its way to look any different than the Great Plains. A barn off to the right had its doors open, though, I could see shadows and country music or maybe it was the Eagles was faintly spilling out into the dirt road that lead from US Route 20 into what appeared to be town’s most happening spot. “Can we help you?” a friendly face behind the sincere question. The old man who wore it, along with a black and white checkered International Harvester shirt tucked in to loose blue slacks, chewed a cigar. His company, five or six other people scattered around the barn in similarly modern day western attire, all looked my way, up from their game of rummy and iced teas. “Well this is Van Tassel, sir,” the old man reassured me, “we’re the smallest town in America and though I do consider our old barn here to be a vacation highlight along the journey of my life, most other folks don’t.” He put his cigar on, unlit, on the edge of a stable now full of rubber tires, and walked toward me with his arm outstretched, palm wide open. George and his brother Al, Al’s wife Susy, Susy’s friends Tammy and Jodi, and well the whole lot of Van Tassel’s population of 16 who happened to be in attendance at tonight’s barn party all welcomed me with a smile. “Well back in 2000, we had 19 folks livin’ here,” and “but then well I guess Mrs. Andrews died and then, well Jodi and her husband here left town but he didn’t last long”, or “I think now you could say really there’s only six of us here, full year ’round anyhow”, these were the types of conversations we had. It didn’t take long until I’d been invited to stay the night, I could sleep here in the barn if it worked for me. It did. Forty five miles west on 20 I came to another town sign. I guess someone’s got some math left to do here in Wyoming.